Well, this is exciting. 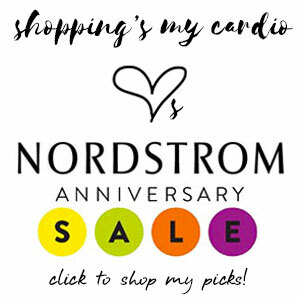 I got a hot tip over the weekend that the first preview catalog for the Nordstrom Anniversary Sale had gone out to the VVIP customers, and I nabbed a sneak peek! First, a little down-and-dirty on what’s happening with the sale this year. The official start date is July 15, but pre-sale shopping begins July 5. The pre-sale shopping option that’s typically been open to Nordstrom cardholders and other VIP customers is now only open to cardholders, allegedly. This means that no matter how much your salesperson loves you, they can’t let you pre-shop without a Nordstrom card. But, the upside, according to my sources, is that you get to take your goods home with you the day you shop, instead of having to head back to the store on opening day to pick up your pre-sale goods. So, with that done, how about a little peek at my picks from the sale? First up, shoes – since I know you’re all shoe nuts like me. 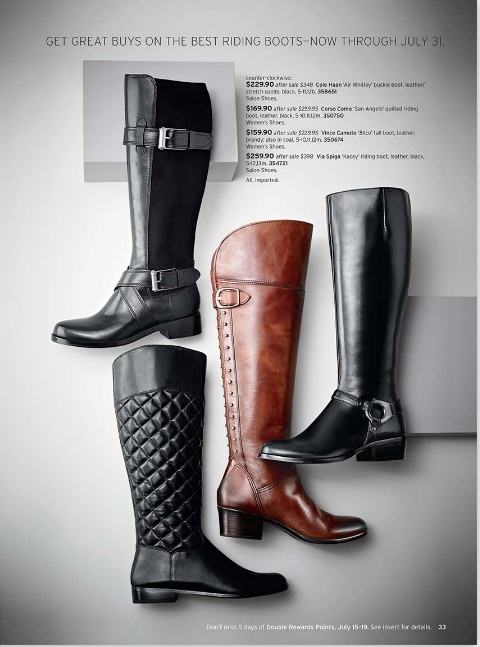 Not much in the way of heels and flats, but there are some good boots to choose from. 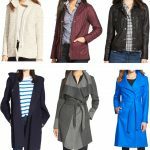 This Mackage coat is the other winner from the catalog. It’s still not something I’d love enough to nab, but the clean tailoring is nice, as is the leather detail at the sleeves. I do have a feeling this one’s going to be popular…so you’ll be seeing it out and about. As for the rest of the apparel, there are the usual suspects: a few highly-identifiable, under-$100 picks that everyone will be snatching up…and then a few special pieces that are worth a second look. That Halogen pencil skirt on the first three models comes in 6 colors and is $45, so expect to see it on everyone in your office come August. 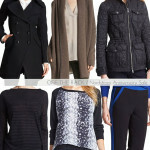 The little cuffed ankle pant on the far right is by Amber Sun, and is also $45. I’m cautiously optimistic about the pants – they’re cute on the model, but atrocious in another image I saw, so it could definitely go either way. Left 3: Halogen seamed pencil skirt, $45; Right: Amber Sun “Aubrey” pant, $45. This silk blouse by Joie is one of maybe three pieces I’ll actually be nabbing from the sale. I love the bright teal, and it’s a perfect tunic shape, so you can easily dress it up or down. It’s hard to imagine beneath that fugly chunky knit vest, I realize…but try. If you’re not quite over the faux-fur trend, this Trina Turk cardigan is a great way to give it a try. While the photo doesn’t really provide much help, it’s a long, wrap-style cardigan, and the fur collar is removable. So, when you’re ready to retire the trend, you still have a classic camel cashmere cardigan in your closet. There’s always one killer splurge in the sale. Last year, it was a classic Burberry trench. This year, it’s this black faux-wrap dress by St. John. It’s a classic long-sleeved wrap cut (without the wardrobe malfunction potential), and it will be in your closet forever, making it a bargain by any standard. Last but certainly not least, a few accessories to tie all this fun together. There are two big “splurge” bags this year – one by Chloe, which I thought was boring, and this one by Marc Jacobs. It’s hard not to love that pink, which is actually a bit more mauve in other photos. And on the more reasonable end of the spectrum, I found myself quite liking the bag on the top left, below. The brand is “Roccatella,” which meant nothing to me until I saw it was a new diffusion line from Be&D, which makes amazing bags. I also love the Rebecca Minkoff bag in the bottom right image, though I’ve found the quality on RM bags a bit spotty lately. 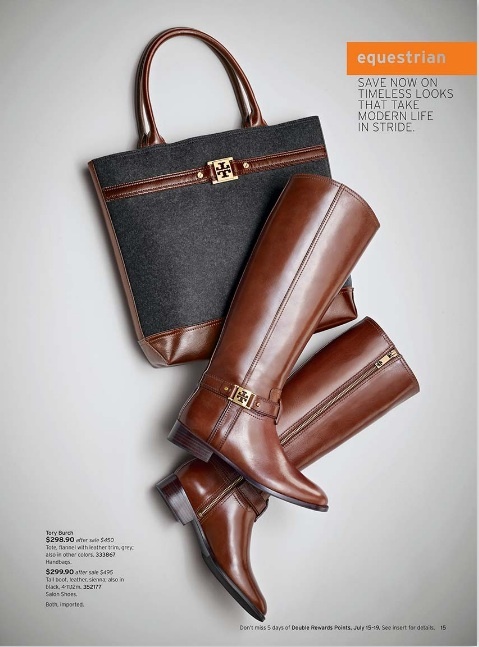 Love the ostrich-embossed leather, though, and it comes in 3 colors. 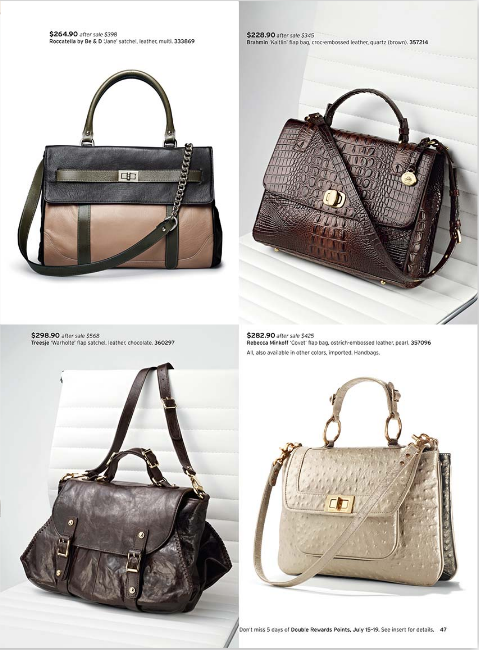 Top left: Roccatella by Be&D “Jane” belted leather satchel, $264; Bottom right: Rebecca Minkoff “Covet” flap bag, $282. And my bracelet obsession continues with these options from Ippolita and Lagos. The Ippolita styles are the bangles in the center with the solid-set semi-precious stones, and the Lagos is that rope-style silver bracelet with the diamond X in the center. 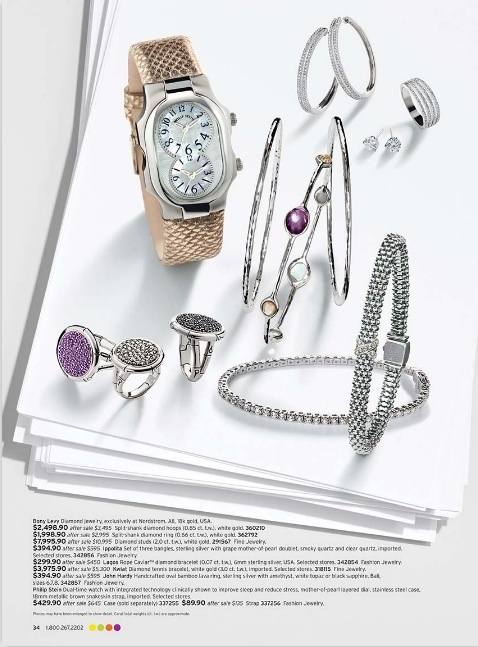 Center: Ippolita bangles, set of 3, $394; Bottom, far right: Lagos Caviar X Diamond bracelet, $299. That’s it, friends! Of course, if you see something else in these images that you’re dying for details on, just leave a comment, and I’ll give you all the info I can. In the meantime, give your favorite salesperson a call, and get a pre-shop date scheduled! 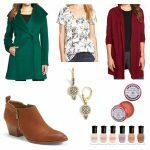 This entry was posted in fall, fashion, handbags, jewelry, nordstrom anniversary sale, sale, shoes, styling, worthy splurge and tagged frye, ippolita, joie, lagos, mackage, marc jacobs, mcginn, rebecca minkoff, roccatella, st. john, tory burch, trina turk, via spiga on 27 June, 2011 by shoppingsmycardio. Do you have a picture of the chloe bag? Is it the paraty? I’ve been wanting that bag forever!! 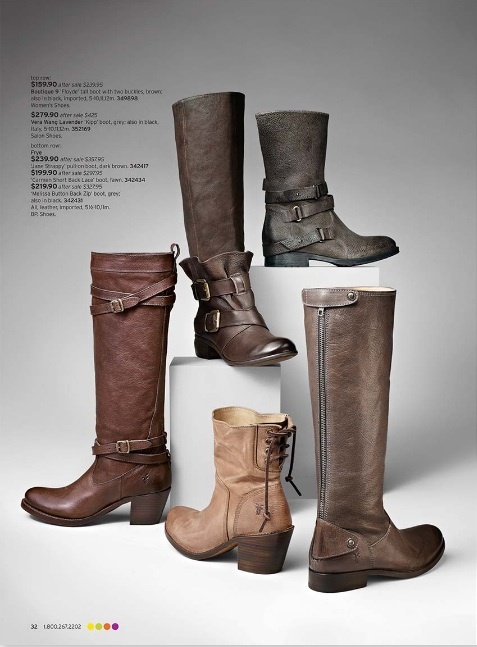 I hope those Fryes will fit over my athletic calves… and I WANT the St John dress! Dzung: It’s not the Paraty…bummer! It’s the Ethel, in 4 “Nordstrom exclusive” colors, priced at $934. Hope that helps! A – the St. John dress is at the top of my list too. Gorgeous! Do you have a picture of pages 74-75? Where would I be able to see the entire catalog and do they have items on sale not in the catalog – like more St. John or Ippolita? Barbara – I’m afraid the full sale catalog is still on pre-release, and you have to have a password to access. The full catalog will be up on July 15 when the sale opens! If you have a Nordstrom card, though, you can access now – just call your store and let them know you want to play! I’ve been looking for the pink MJ bag in the catalog but I can’t find it! Did you screen cap it from their site? I looked in the hard copy and online and I can’t find it. Is that page 2D? Did you see Tory Burch flats listed?